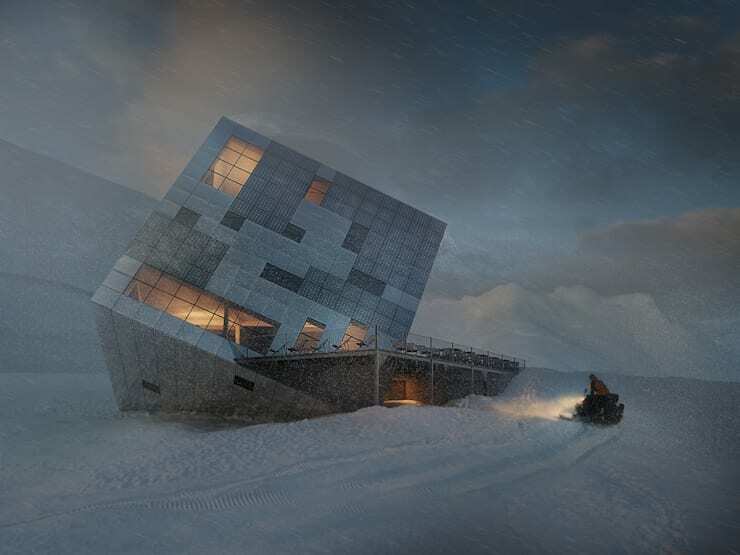 The competition entry proposes a succinct shape of a simple cube which is seated on on of its vertices and aims at inducing a feeling of lightness and randomness in the observer. 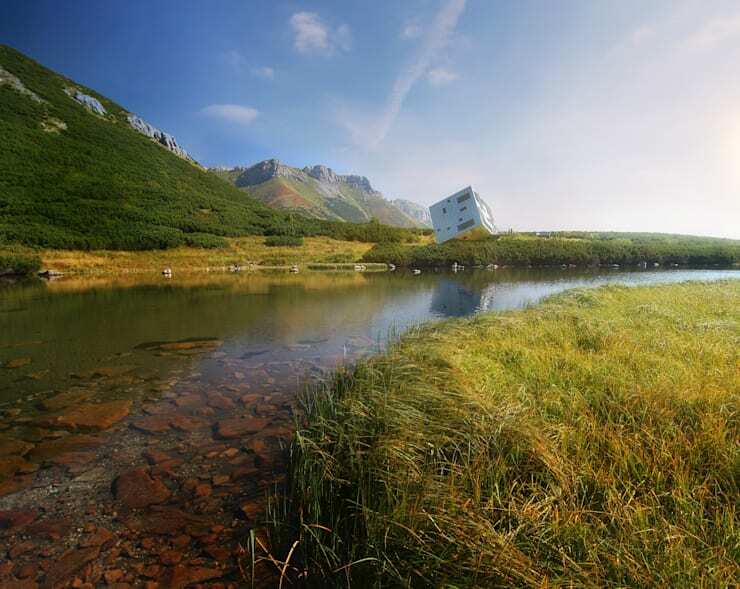 Due to its position within the landscape the cuboid evokes an erratic block left behind by the retreating glacier. 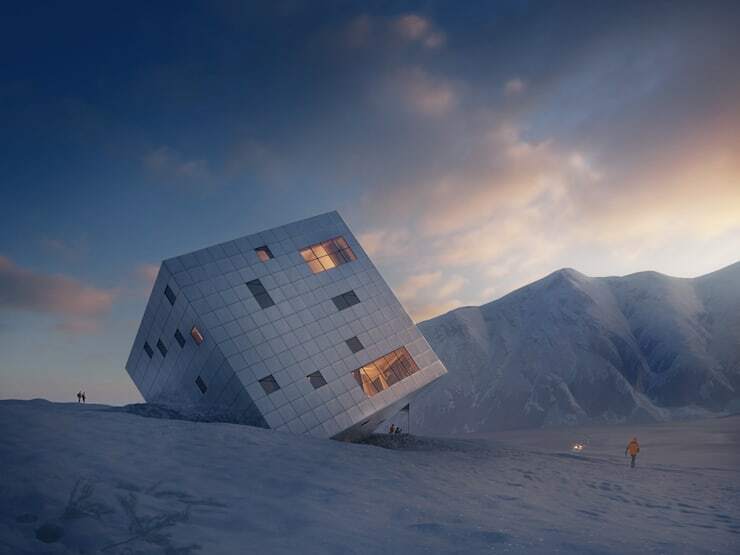 In the context of mountain peaks the sharp edges of the building merge into the outline of the neighbouring rocks when viewed from distance and thus naturally join the landscape of the site. 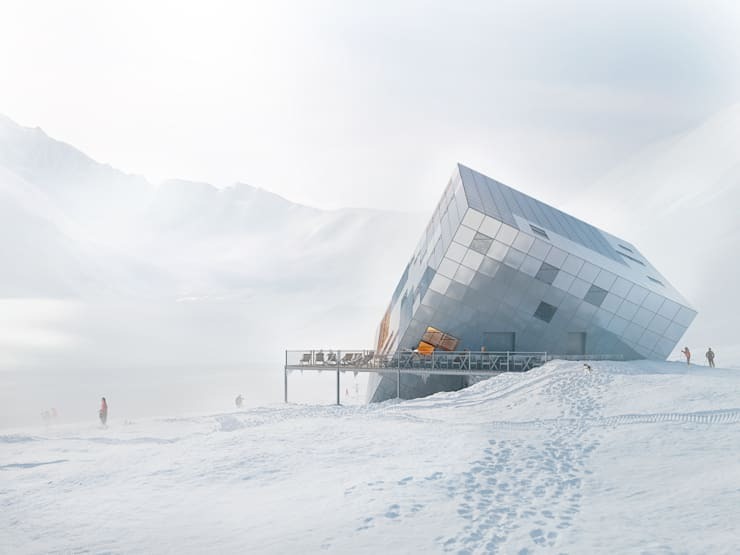 The glass surfaces of windows and photovoltaic panels along with the light transparency of the metal plating complete the whole picture of the site with a touch of glimmer – just like the glints and reflections which can be observed on the surface of a mountain lake or on thawing ice. 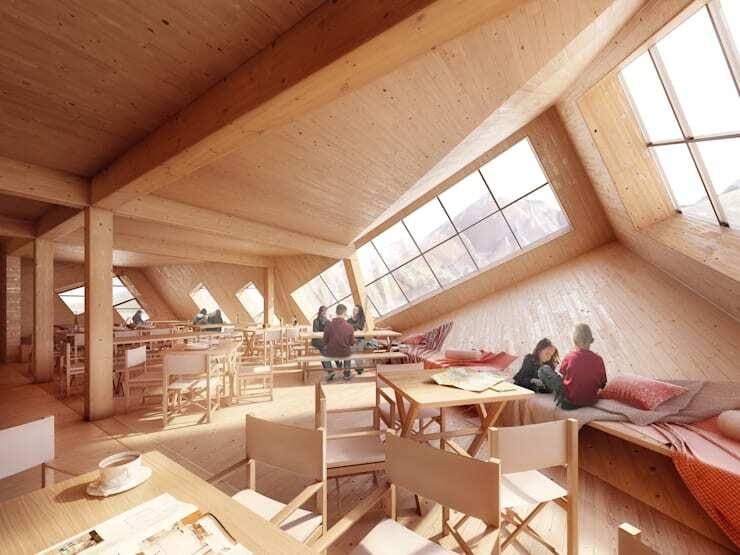 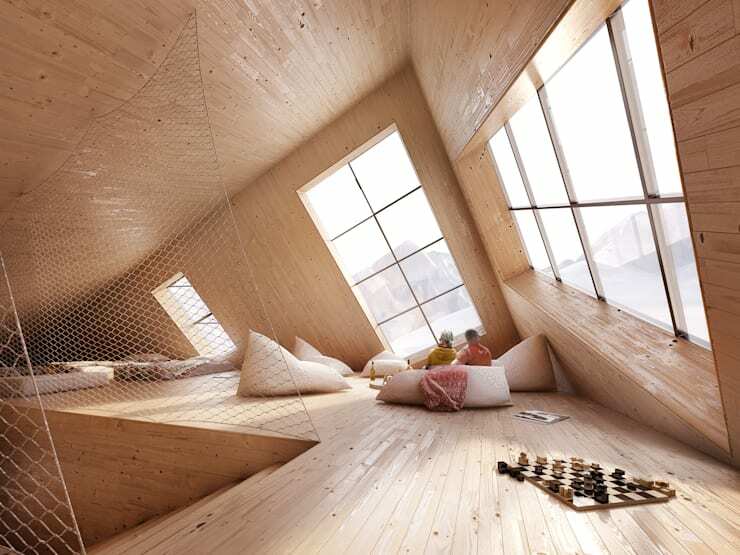 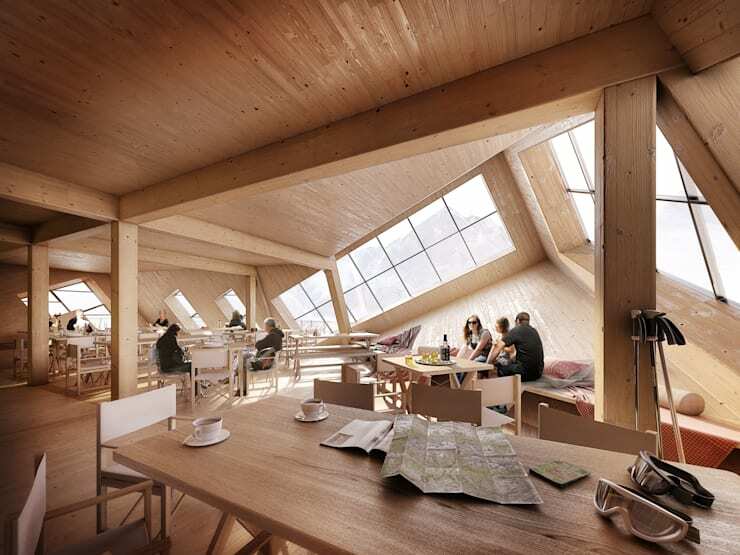 The construction is built with glued laminated timber beams made from larch wood. 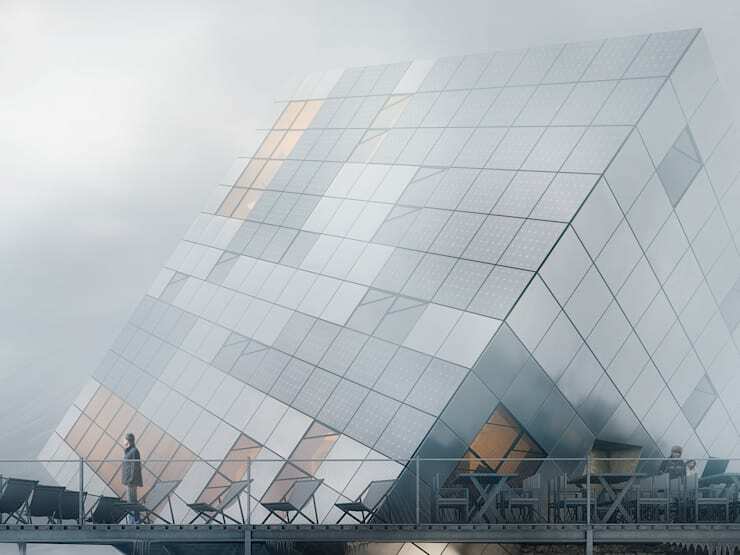 The aluminium facade system is designed in the form of square panels.